W. Ruth Kozak is a novelist and travel writer who has just launched her second novel of historical fiction in Canada and Greece. Her first novel ‘Shadow Of The Lion: Blood On The Moon‘ (Media Aria-CDM, UK 2014) began telling the two-volume story of the fall of Alexander the Great’s dynasty that now finds completion with ‘The Fields of Hades‘. 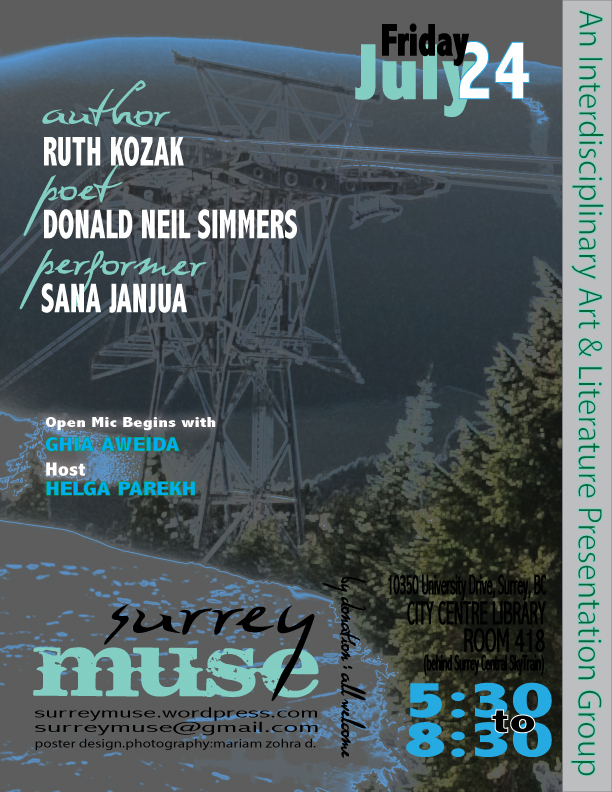 She has presented her work at various venues including Athens Centre, Athens Community School, World Poetry Conference in Larissa, Hellenic Centre in Vancouver, and Surrey Muse. Ruth was awarded an ’empowered writer’ award at the World Poetry Peace Poethon at Simon Fraser University. She is the president of BC Association of Travel Writers, and she teaches creative writing, instructs writers’ groups, and conducts workshops. She publishes print and on-line travel magazines including Travel Thru History, and she has authored an e-book guide of Athens for a US publisher.